Awards season is ramping up, and with the Game Awards just a couple weeks away, the teasers have started to drop. Geoff Keighley, the show’s creator, has promised the biggest lineup of exclusive announcements in its history. While the organization behind the prestigious award ceremony would never outright leak the reveals beforehand, a couple of hints sprinkled throughout the social media sphere do suggest a marketing strategy at play in which the subsequent speculations and buzz would all but ensure the appeal of tuning into the show. Mounting evidence seems to point to Alien: Blackout as one of the major titles to be unveiled on December 6. 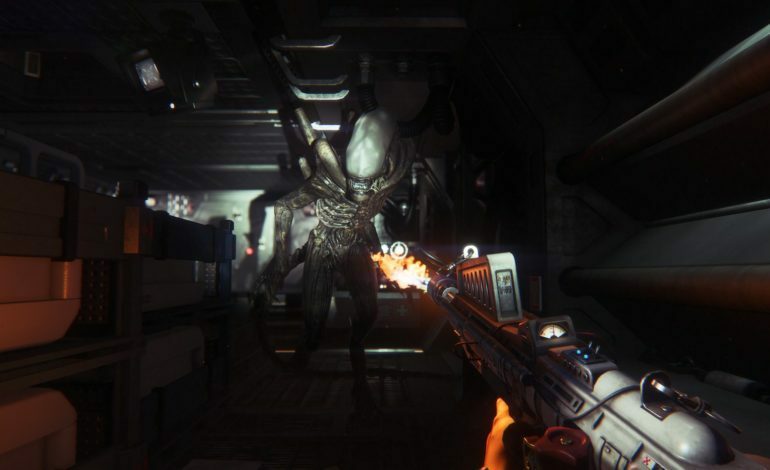 As reported by Gematsu, 20th Century Fox, the parent company behind the renowned Alien movie franchise, has trademarked the name Alien: Blackout for use in “Computer game discs; software, namely, game software, computer game and video game software”, and such. In addition, a recent tweet by the Game Awards itself has become a conspicuous hint, as the “Worlds Will Change” slogan of the award show contains typesetting in the “W” that looks exceedingly similar to the Weyland-Yutani Corporation logo in the Alien film franchise. Furthermore, in response to game designer Hideo Kojima’s recent visit to the 20th Century Fox headquarters in Los Angeles, the Game Awards twitter account replied with another cryptic “Worlds will change”, perhaps suggesting a meta-link to the original tweet with the same moniker. Whatever the case may be, given the timing of it all, it seems all but confirmed that the new Alien game will be revealed at the award show. It is unclear at this point whether or not this is a sequel or spinoff of some kind to 2014’s Alien: Isolation. Either way, fans of the franchise and of the sci-fi genre in general should be excited for the inevitable announcement. Tune in to the Game Awards 2018 on Thursday, December 6 with over 40 streaming platforms to witness even more exclusive game reveals to come.